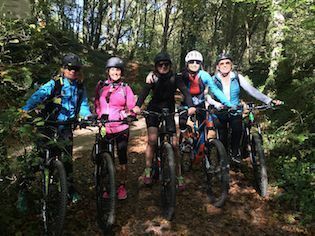 Flexible routes according group skills with qualified guides in cycling, first aid and tourism. Snack in Collserola. 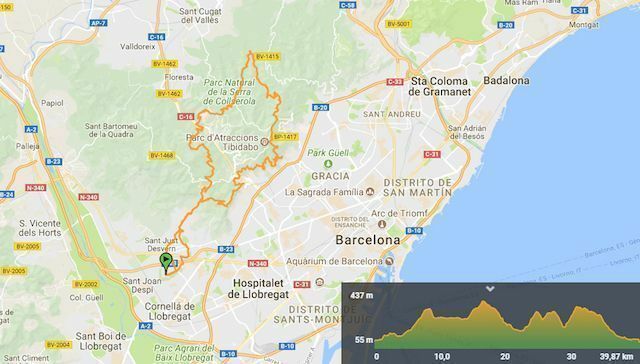 Circular and complete guided tour that crosses much of Collserola Natural Park in, the main mountain and lung of Barcelona. TransCollserola Tour offers magnificent views of the city and it’s our most popular route to get into the secrets of the massif of Barcelona. 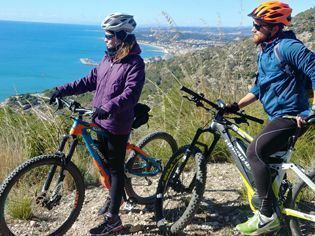 This tour fits those riders who already know how to ride a mountainbike. No need to be super fit. 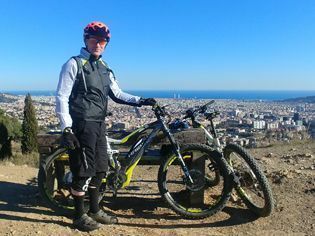 The powerful electric motor of our bikes allows to do it with almost no effort. Collserola separate Barcelona from the Vallès plain and their tallest peak is the Tibidabo, at 512 m. Other main summits are: Turó del Puig, Puig d’Olorda, Turó de Valldaura, Turó de la Magarola, Puig d’Ossa, and Puig Madrona. The valleys of the Llobregat and Besós Rivers, the plain of Barcelona, and the Vallès basin, mark the geographical boundaries of the Collserola massif. Collserola Park which has an area of 84.65 km², It is the largest metropolitan park in the world – 22 times larger than Central Park in New York.